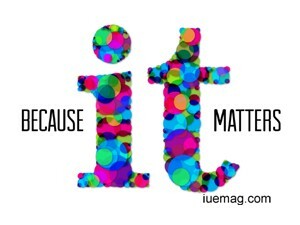 It really matters a lot......! There’s something very beautiful that I happened to read somewhere which said, “You, at some point of times stop, but even at that time, the time never stops”. Isn’t that so well said? All of us , in fact, stop or tend to stop not just once, or twice or thrice but several times. But never does time stop. All that one need at that point of time is a pat on back or a hand to pull them back to where they paused to show them the direction where they were headed to. It’s a very common thing which happens with all of us; it’s a temporary thing. But what really matters is, if we could become that person who could give a helping hand for those who wanted yours at those crucial moments. The situation might be temporary, but the after effect of your crucial presence then would be immense. Most of the times, we live in an illusion that to make someone happy it requires a lot of time and efforts and may be only mighty gifts can make them really happy. Not actually! Happiness lies in small things and through simple acts of caring, one can really touch a person’s heart. Like a quote that says, “Simple acts of caring, creates waves of endless ripples”. It’s a very simple thought if you could understand the depth in it. Materialistic gifts can bring happiness that can last only until their shelf life. But simple acts of caring and love can light up their lives forever. Any facts, figures or references stated here are made by the author & don't reflect the endorsement of iU at all times unless otherwise drafted by official staff at iU. This article was first published here on 4th April 2015.